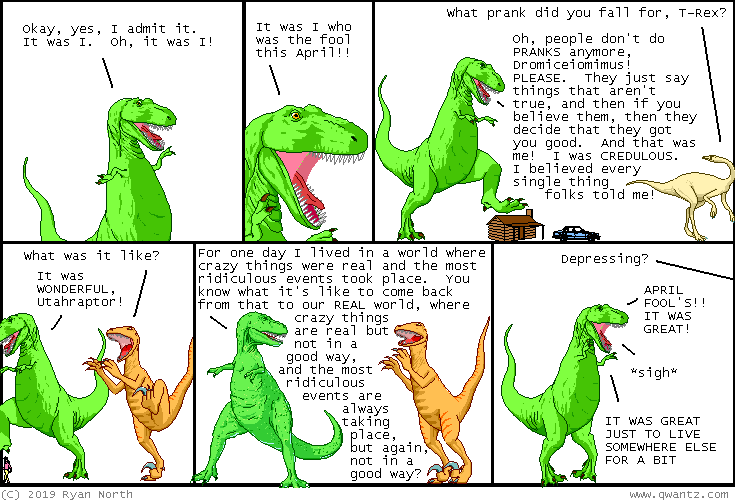 Dinosaur Comics - April 3rd, 2019 - awesome fun times! –"'Copious sounds like copulation', ejaculated Antonio!" April 3rd, 2019: DUNFERMLINE WAS GREAT!! Thank you to everyone who came out - and particular thanks to the women who made me Nanaimo bars, giving me a taste of Canada!! - and I hope I can come back really soon!